Wholesale Supplier of a wide range of products which include mild steel binding wire, ms binding wire and binding wire. 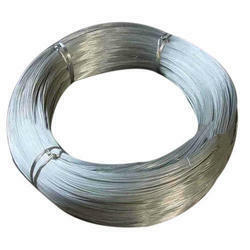 Mild Steel Binding Wire offered comprise quality finished binding wires that are made available in diameter choices of 0.4mm to 4.5mm as well as with tensile strength of 350 to 550Mpa or as demanded by the customers. 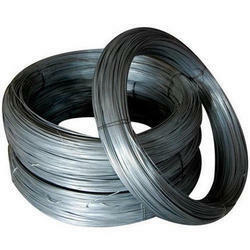 Further, these wire come in galvanized finish with elongation of >=15%. Some of its features include superior corrosion & rust resistance, finding application in areas like construction, building material and others; allowing for excellent flexibility and softness among others. MS Binding Wire offered can be made available in different diameter options like 0.7 to 1.6mm as well as in tensile strength choices of 350-500N/mm2. Further, these binding wires find use as wire mesh for fencing purposes as well as in construction areas. Some of its features include choice of different surface treatments like polished/ light oil coat option, available in different coil eights like 25kg/50kg and others; elongation rate of up to 25%, available in U type annealed wire, straight wire, coils shapes, good tenacity and others. We are the leading trader and supplier of Binding Wire. 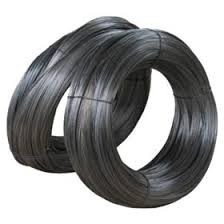 The wire is widely acclaimed for high tensile strength, excellent mechanical properties, corrosion resistance, durability and abrasion resistance. Our Client can easily obtain these Binding Wires from the market at very affordable range of cost.